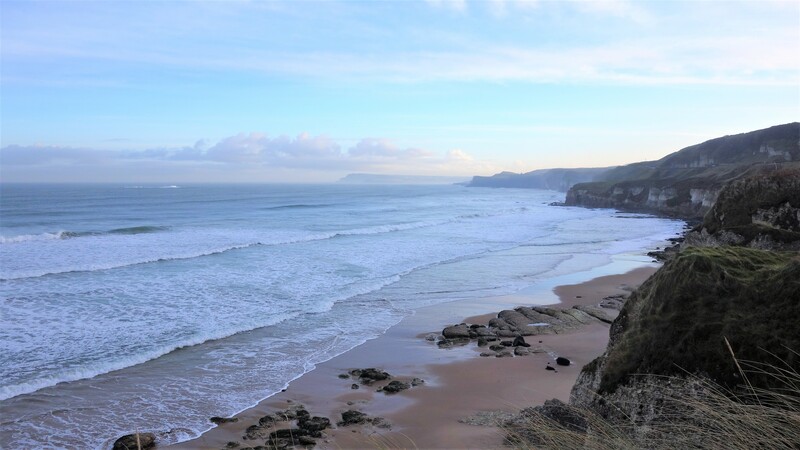 I posted (some time ago) a few pictures that I took at the furthest end of the East Strand at Portrush near a place called the White Rocks (named this way because of the colour of the limestone cliffs overlooking the bay) but I haven’t put up any pictures of the actual town area itself. 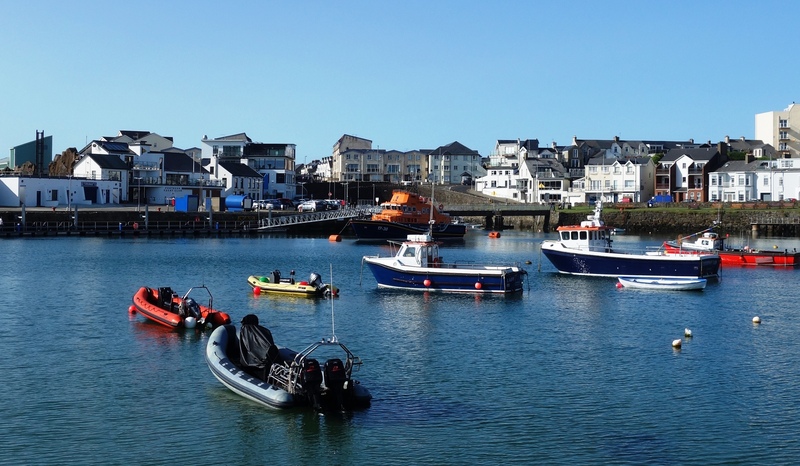 Portrush is undoubtedly Northern Irelands premiere seaside resort with thousands visiting here in the Summer months taking advantage of its two long beaches, amusement rides, and some pretty decent dining too. We visited back in early June this year on a day during the school week, and as you can see the weather was absolutely stunning with very few people there at all – hard to believe, that just a few weeks later, the streets here would be mobbed with families and children. 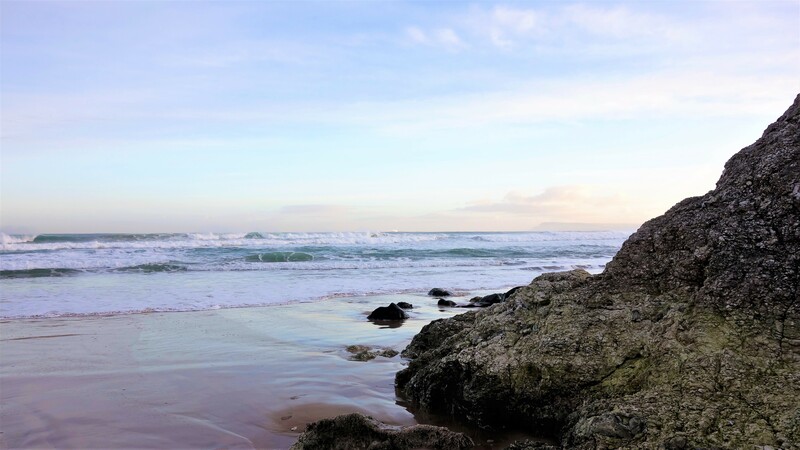 I have to say though, we like it much better when its quiet, particularly in Winter when it takes on a much more melancholy feel yet still retains a wild beauty with the waves crashing onto the shore. 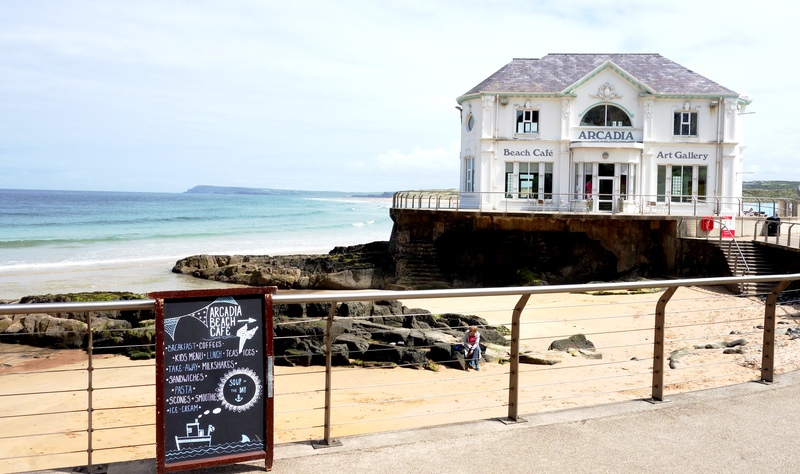 Its a great spot for an off season night away and the restaurants here (55 North, The Ramore Restaurant etc) are really excellent and always open. 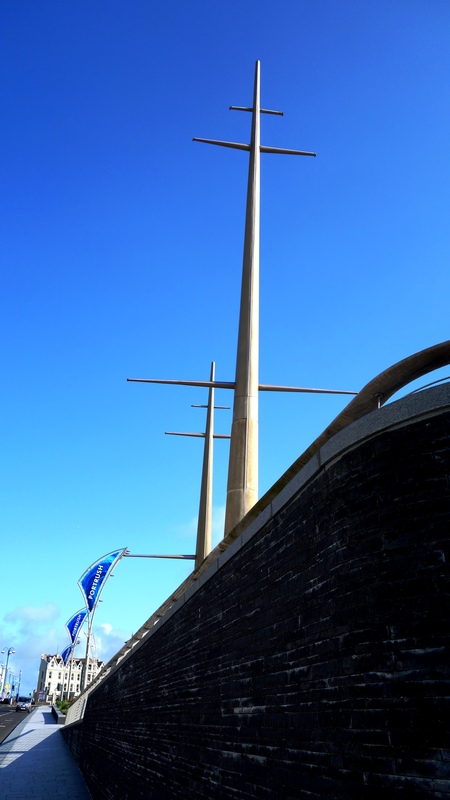 You might be forgiven for thinking the first picture here is some ocean going liner but it is in fact an area right in the centre of town created for sitting down and having a rest with huge fake masts giving the impression of a ship. If you get the angle just right with your camera the effect is pretty good. 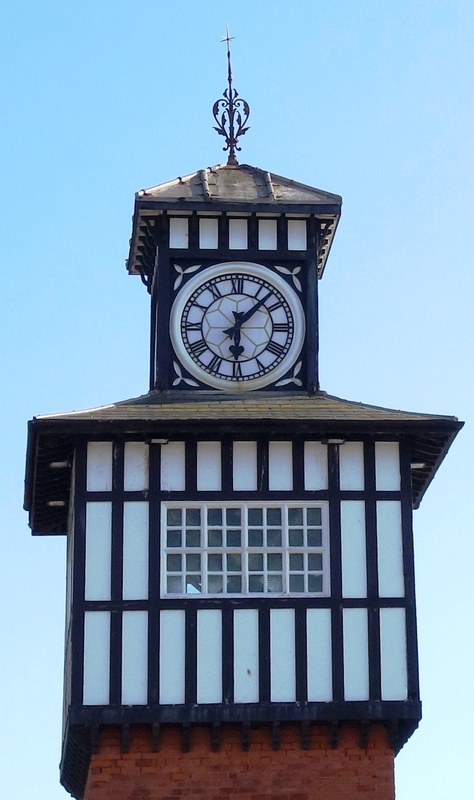 The second picture is of Portrushs other iconic landmark, The Arcadia, which is certainly the most photographed location in the town being built in the 1920s. 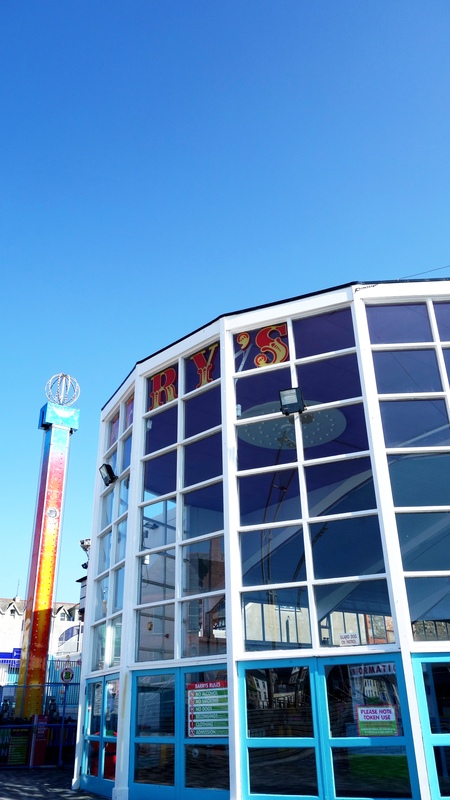 It originally opened as a cafe (which it is today) but became a ballroom for dancing in 1953 and the large complex (now demolished) that once stood behind it played host to many concerts in the 70s and 80s seeing bands like The Stranglers, The Undertones, and Ian Dury play there. I remember the building itself even being a roller disco at one point but I guess I’m showing my age here. I have to say I find the Arcadia enthralling, there’s just something about it. If a building could speak it would have some stories to tell in its 90 years of life, and hopefully it has 90 more. 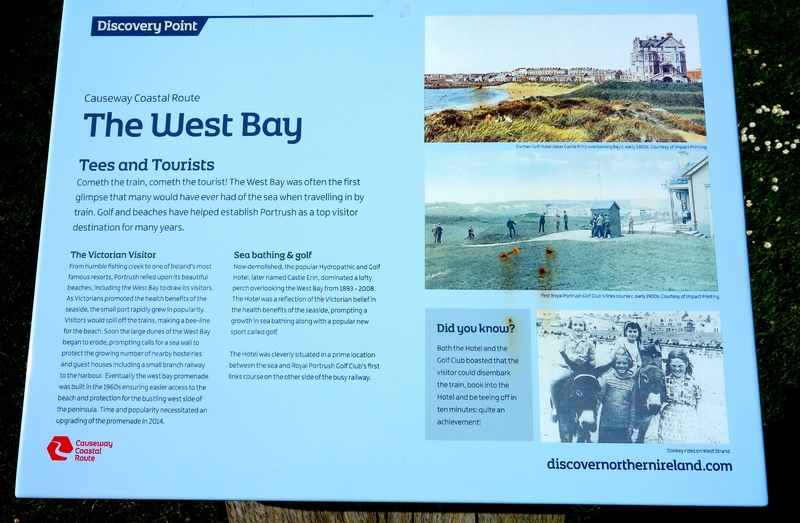 There are 2 “strands” in Portrush (another name for its two long beaches at either side of the town) one being the West, and one being the East. 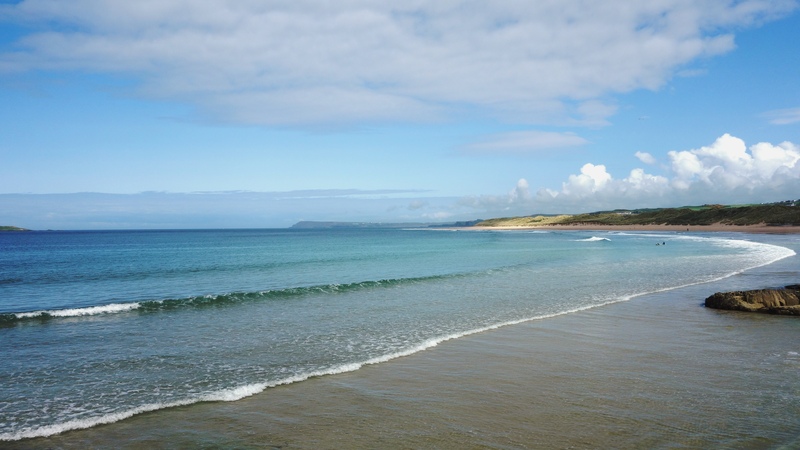 The East Strand (seen above) regularly wins a blue flag for its water quality and amenities and its 2.5miles of gorgeous white sand and huge dunes (search “Portrush” on the site here to see pictures of those) really could compete with any of the beaches in Europe. Its a wonderful walk out here on a sunny day looking out to the off shore islands of The Skerries. 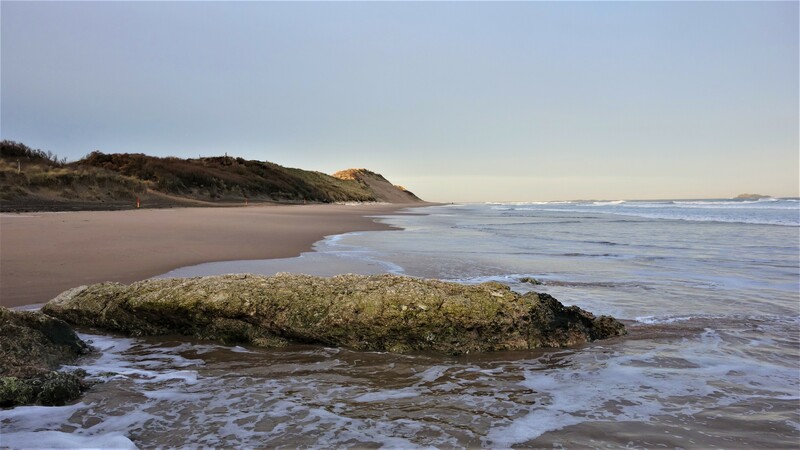 Its not uncommon to see Basking sharks feeding along here too with their huge fins being visible from the beach (don’t be scared though, they’re harmless). 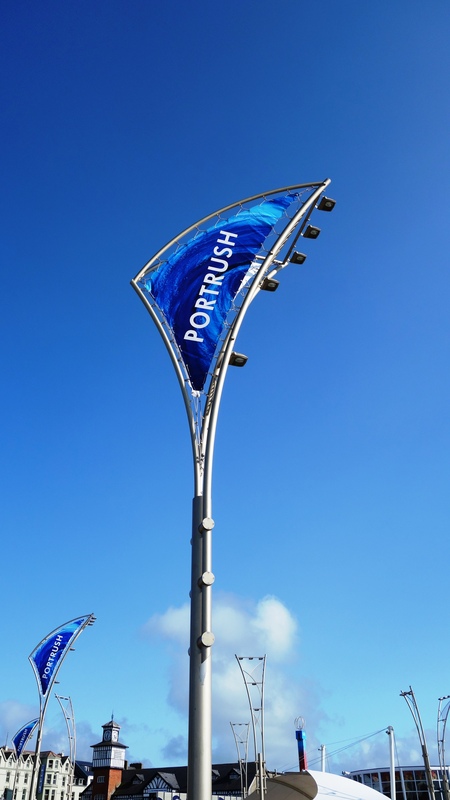 Portrush….. A great place to visit. Any time of the year. 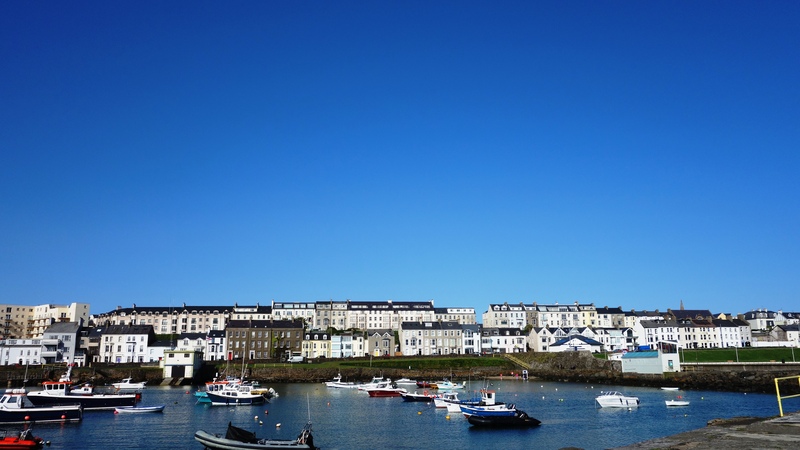 Portrush, County Antrim (right now). A really lovely evening up here. 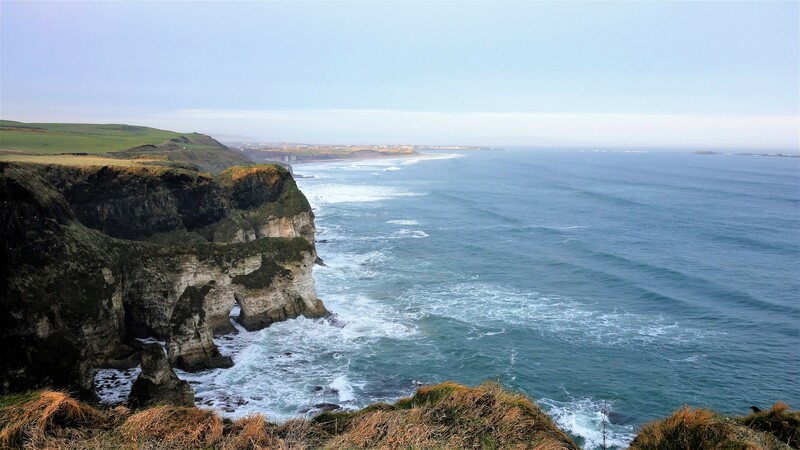 The Antrim Coast is without doubt one of the nicest places in the whole of Northern Ireland. 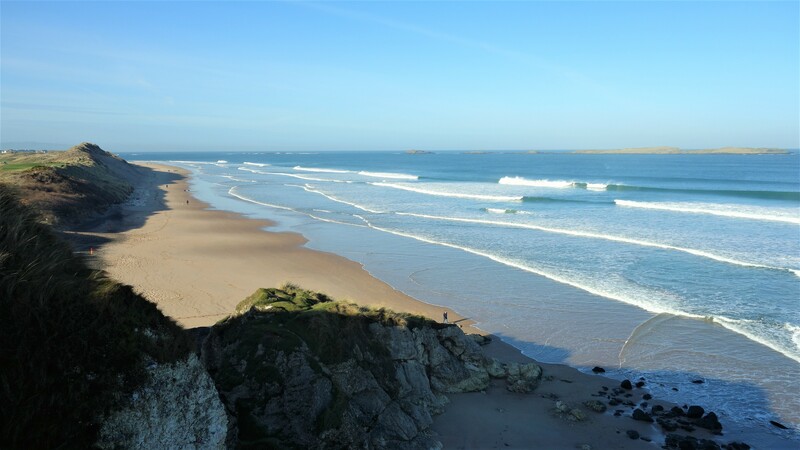 Boasting miles of beautiful sand, coves, bays, ancient ruins, bridges, the world renowned Giants Causeway and Royal Portrush golf course, there’s more than enough to keep even the well heeled traveler amused. I took the pictures below just a few days ago on what could be said to be the last two days of our Summer 2014 – August 30th-31st. 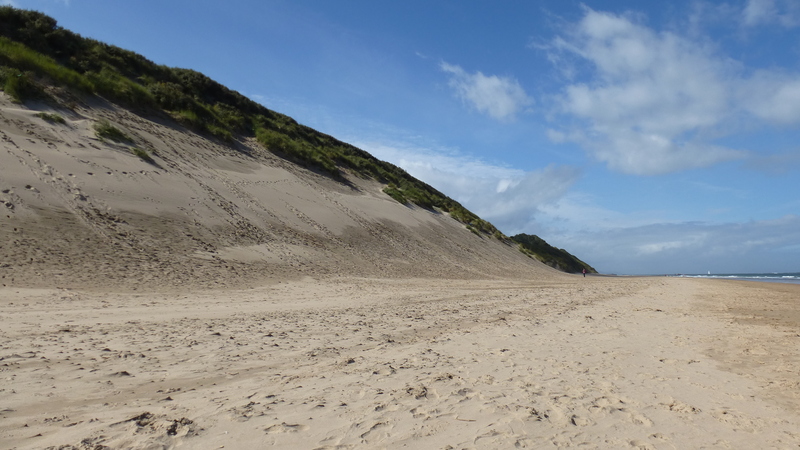 Just a few hundred yards from the White Rocks, this is the second largest sand dune in the whole of Ireland (the largest is in Donegal), and its pretty amazing when you see just how big it is. If you ever decide to come here, try and find one of the plastic sand sleds you can buy locally (a snow sled works too) as you’ll have hours of fun sliding down it (the climb up isnt easy though). 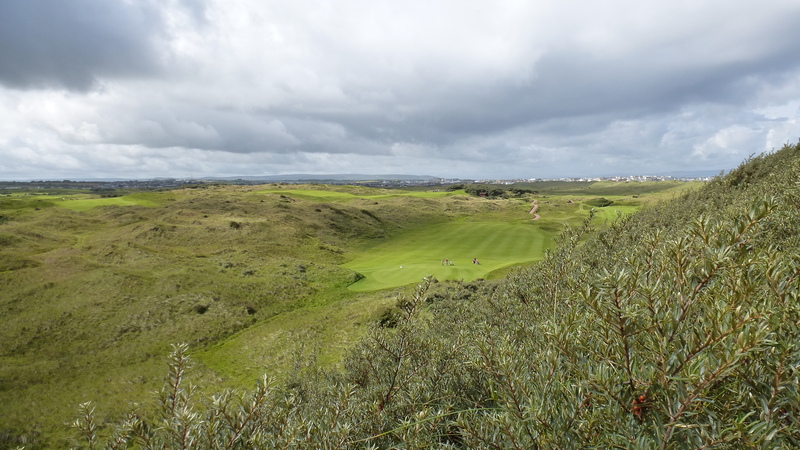 This is the view of the world renowned Royal Portrush golf course from the top of the sand dune above (the course is behind the dunes). 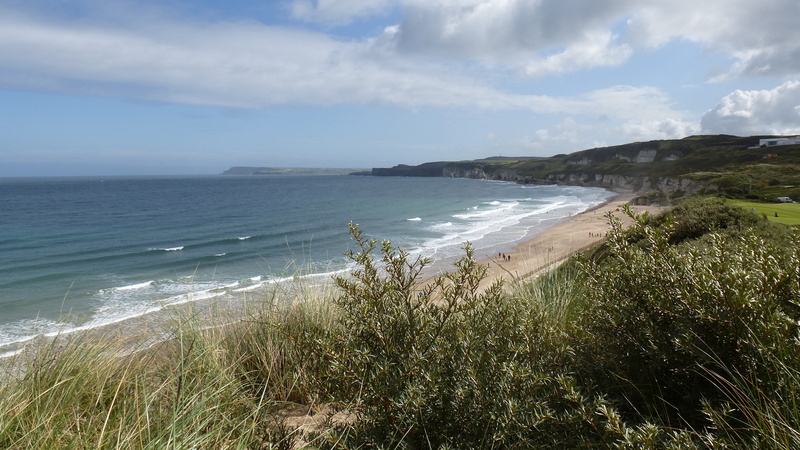 Looking the opposite direction from the top of the dune. 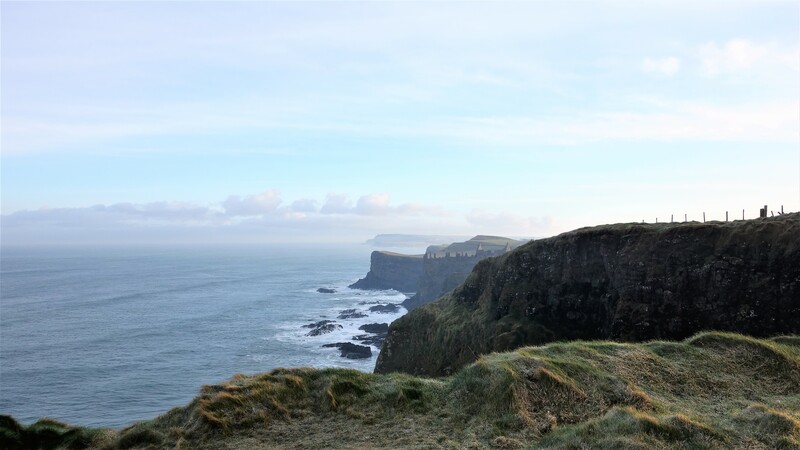 You can see the White Rocks in the distance and just beyond that (not clear in the picture) is Dunluce Castle. 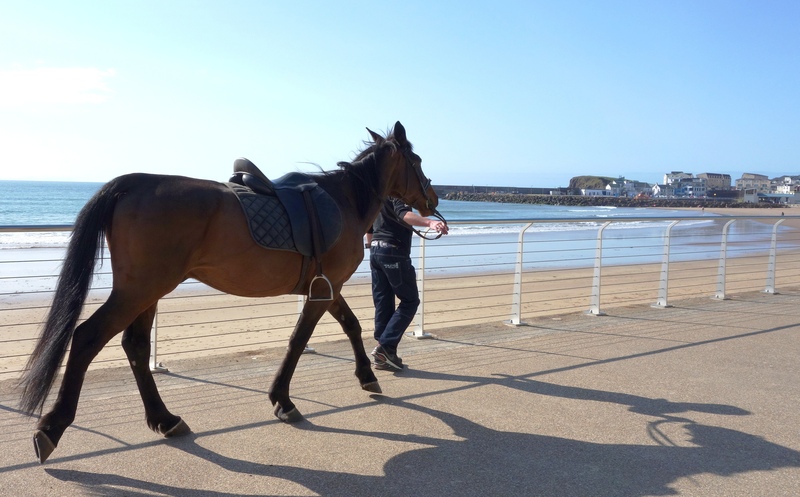 A horse has a cool off in the water at Portrush. 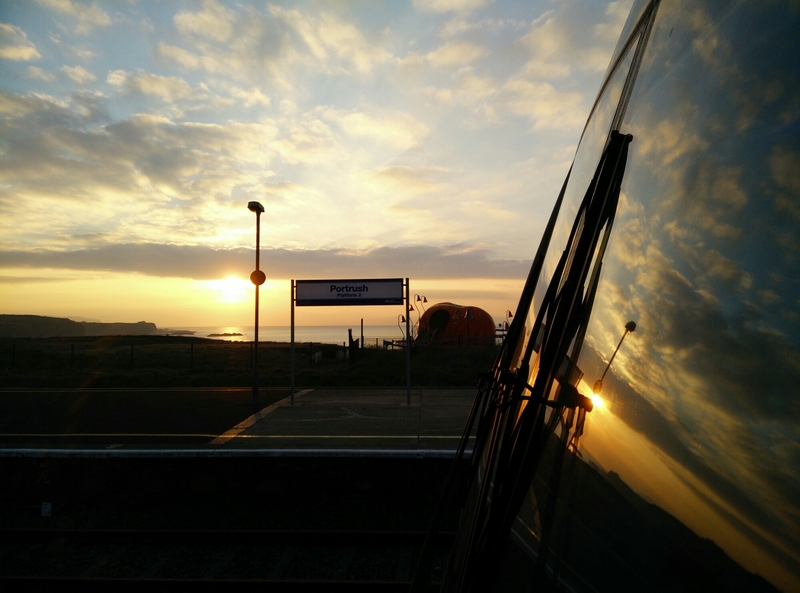 Sunday morning 31st August 2014. 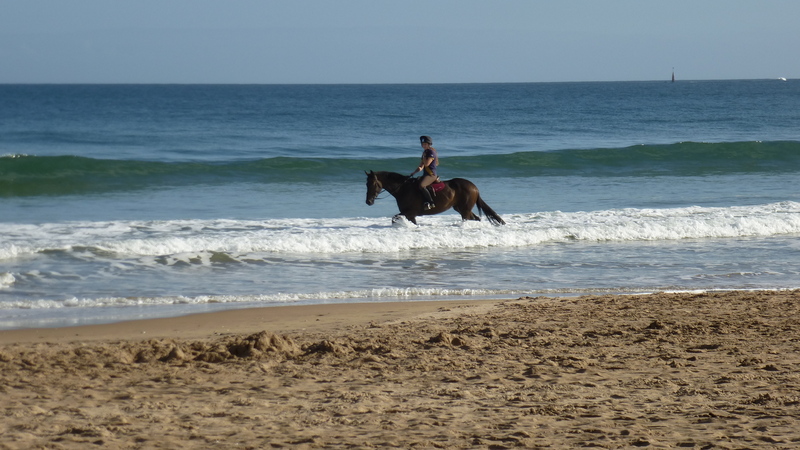 The waves here are frequently ridden by surfers and there are parking spaces, showers, and toilets at the end of the beach to facilitate this. 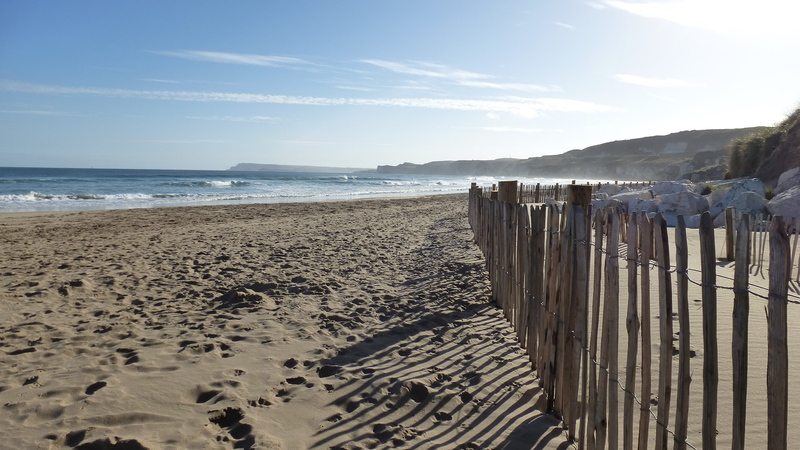 On a fine day like this, Portrush White Rocks (with its blue flag) can compete with the best beaches in Europe.